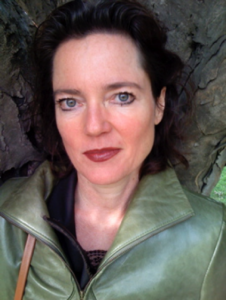 “Dead eternities at railroad stations, airports, and the call centers of life: ‘please wait’ is the mantra of the new rhetoric of appeasement, the synthetic global muzak that has made patience the cardinal virtue of service-based societies,” writes Andrea Kohler, a cultural correspondent for the Swiss daily newspaper Neue Zuricher Zeitung and the recipient of the 2003 Berlin Book Critics Prize. With lyrical prose and a sophisticated perspective, the author takes us on a mind-expanding journey through our accelerated times where we spend our breaks from work in gyms and spas in order to get in shape, where escape from work has become just another pathway to greater productivity and efficiency. With great elan Kohler lets light in from all sides of her topic with her commentary on childhood as a stage of life steeped in rituals designed to familiarize them with this listless state of being; the practice of keeping others waiting as the prerogative of the powerful; the government as the quintessential modern waiting room; Proust and Kafka as the crown witnesses to our era’s accelerated time; the modern doctor’s waiting room as a limbo of dread and uncertainty; and the fairy tale characters of Snow White and Sleeping Beauty as creatures of waiting. 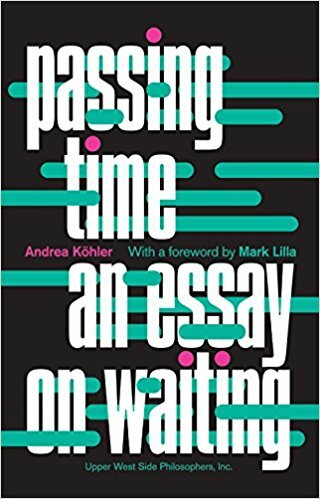 Passing Time: An Essay on Waiting by Adrea Kohler is a philosophical masterwork on time, transitions, patience, and the end-game of death. […] In a recent article from The Chronicle of Higher Education that advocated for the study of theatre, one of the most often reported findings from professors was that, simply, their students did not know how to wait; how to pass time in a singular fashion without immediate distractions. Until they took the time to learn (in this case, through patience and acting lessons in stillness), students would fidget, seem distinctly uncomfortable, and even start toward phones that weren’t there. Andrea Köhler, who won the 2003 Berlin Book Critics Prize and is currently cultural correspondent for Neue Züricher Zeitung, a Swiss daily newspaper, addresses what waiting means — and why it’s important to our humanity. Even the evolution of the word speaks volumes; Kohler reveals that the word originated, in the modern sense, in the 13th century, but only gained its overtones of agony in the 18th, when Romanticism reigned. Just like how we’ve defined and redefined the meaning of waiting, it defines us, in how we spend those moments in between. As those theatre students might learn, if you’re going to put on a meaningful production of Waiting for Godot, you have to understand how and why to, well, wait.